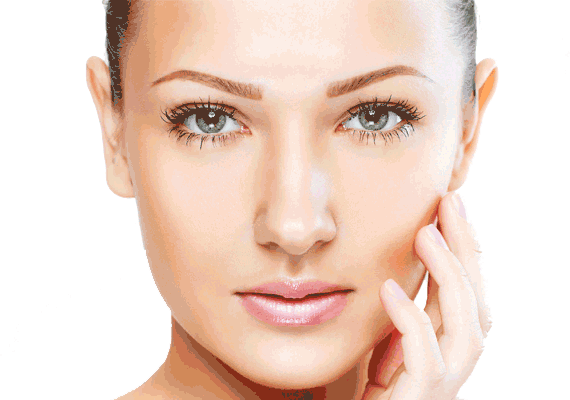 Procedure: Application by Ellansé® injections to stimulate collagen creation. Used for: Restore a more youthful appearance by removing wrinkles using this filler. Results: Immediate, skin looks smoother and firmer after the first session and may last up to 4 years. ELLANSÉ®: long-lasting biocompatible and biodegradable filler composed of polycaprolactone microspheres suspended in an aqueous carboxymethyl cellulose gel. It is a soft medical polymer totally bio-reabsorbable well known. ELLANSE® offers maximum modeling potential due to the combination of optimal viscosity, unique elasticity and uniform homogeneity. Over time, our skin gradually loses its natural collagen, leading to facial laxity and the formation of wrinkles and folds. Ellansé® uses the body’s natural response to stimulate the generation of the body’s own collagen (neo-collagenesis) – restoring a fresh, youthful appearance. Ellansé® is a facial filler suitable for men and women of different ages. It can help with deep folds around the mouth and nose, sunken cheeks, facial scars, deep acne scars and loose skin. It is a very versatile product since it fulfills several functions: inducer of collagen formation (ideal to diminish the flaccidity of the face or the sagging of the neck), filler substance or to give volume in areas such as the cheekbones or chin. The Ellansé® treatment responds to your facial rejuvenation needs, providing beautiful, fresh and long-lasting results. It has four distinctive versions, lasting from one year to four years. That is, depending on the type chosen, Ellansé® provides long-lasting results from 1 to 4 years, thus eliminating the need to repeat frequent treatments. The filling with Ellansé®: Ellansé® works differently than traditional fillings. It provides immediate correction of volume loss, just like a traditional dermal filler. But it also acts as a biostimulator, continuing to produce long-lasting, natural results by improving the body's natural collagen reserves. By helping to replenish your own facial collagen and restore lost volume, you can give a more complete and natural look that can last up to 4 years before the full effect is lost. Application: Injected into the area to be treated to induce collagen formation and to fill or volume the area. Treatment result: Treatment with Ellansé® responds to your facial rejuvenation needs, providing beautiful, fresh and long-lasting results. It has four distinctive versions, lasting from one year to four years. That is, depending on the type chosen, Ellansé® provides long-lasting results from 1 to 4 years, thus eliminating the need to repeat frequent treatments. Ellansé®, the price of the treatment: How much does a facial filling with Ellansé® cost? The price of an Ellansé® filler treatment depends on a variety of factors, including but not limited to the doctor’s fees and qualifications, the price of consultations (pre- and post-treatment), the amount of filler to be used, treatment sessions, etc. When you as a possible patient ask us about the price of an Ellansé® treatment, you must bear in mind that for us, the most important thing is your health and that in any case the price depends on the personal characteristics of each patient. Contact us for queries related to Ellansé® long-life fillers. We will answer as soon as possible. And if you want we will call you.